Photo by Patrick Schulte (Bumfuzzle). If you know us in real life then you know that a dream of ours is to live in a tiny home, or a motorhome traveling the country. Well, I guess you all know now too. Before we made our big move to Oregon from New Jersey we were seriously considering RV life, but honestly it all came down to what are goals were and money. 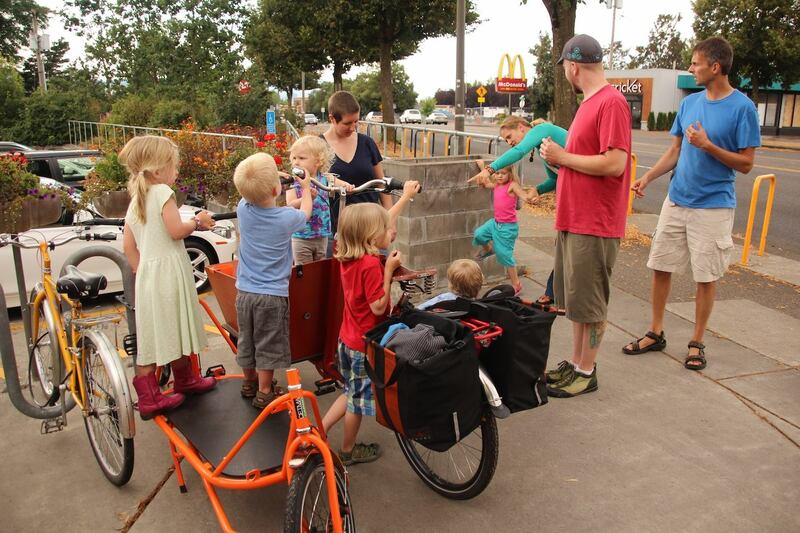 Our number one goal was to remain car-free and get our butts to the west coast. Plus, we wanted to surround ourselves with some serious bike culture, which Portland obviously has. All that said, our apartment still feels too big, and I'm not sure owning a "normal" house in Portland is really in our future. It's not really what we want anyway. I know living tiny is in our future somehow, just not sure when or how yet. Over the past few years I have searched the internet for families living the simple, tiny, and/or RV life. I found so many families living in such amazing and inspiring ways. One of those families is the Bumfuzzle crew. They are a family of four who for years lived on a sailboat in Mexico. Recently, they traded in boat life for RV life here in the states. I few months ago, while trying to figure out our move, I read Patrick Schulte (Bumfuzzle) and Nick O'Kelly's book, Live On The Margin to get more inspiration on simplifying our lives, especially financially. It was a great book and I even learned a thing or two about the stock market. Though Patrick and Nick made it easy to understand, I still can't really wrap my brain around the market completely. Numbers are just not my thing. Still a insightful and inspiring read. I definitely recommend it if you need inspiration on getting yourself out of debt and away from keeping up with those damn Jones'. Anyway, the whole reason for this post is that Bumfuzzle has been hanging in Portland lately and decided to host get together here for anyone interested in meeting up with them. Of course, I wanted to go. No matter how awkward it felt. It's strange following people for so long and knowing their journey via the web, but at the same time it's great. It was awesome to connect with like minded people, learn about their lives on the road, and to thank some folks in person who have helped inspire us to make our lives better. The whole Bumfuzzle crew is really nice and they even had some time to check out our bikes. Plus, we were able to meet three other families who live full-time on the road, RV style. Thanks again Bumfuzzle Fam for hosting the get together and sharing your journey! I can't wait to see how and when our tiny, simple life begins. Actually, I guess it already has!